Notice the eyebrow; a nice way of lowering the visual height of the cabin and doghouse. I intend to do a number on the Bristol and get her in tip top shape and eventually get into a slightly bigger boat for a part-time live-aboard, although she’s so damn pretty I might just keep her till I keel over. 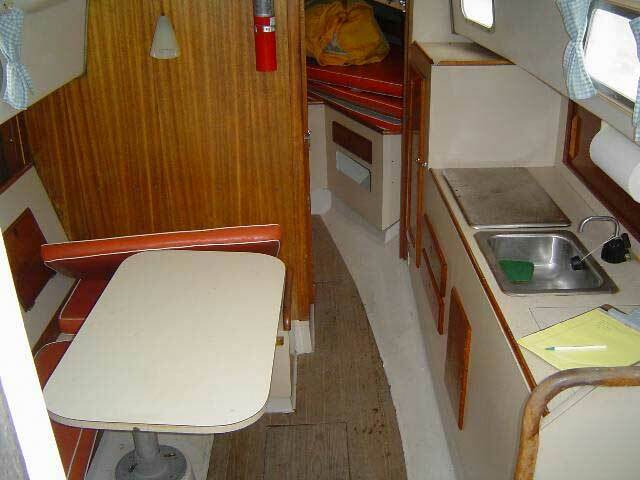 The major drawback of the Bristol is that there is NO comfortable place to lounge down below. I did get some good news from a mechanic I hired to check the engine (If you get to the Norfolk, VA. area and need a mechanic, look up Mike Monteith. He’s a retired coastie, a really nice guy and INTO YANMARS in a big way (757) 676-3376). He gave her a great review and said she was practically new, wear-wise. She had a stuck valve from being idle for so long and a pulley on the water pump was slightly bent but otherwise, she’s in great shape. It’s a Yanmar 3GM30F, probably the same engine you have. It looks as though my hull number is 96, at least that’s what I gather from the title. I can’t see a builder’s plate so I’m trusting the previous owner’s paper trail. 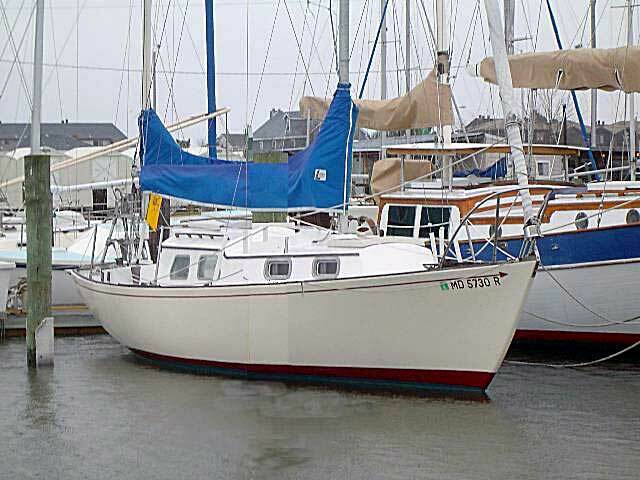 She was built in 1968 and her present name is Andiamo. I will probably change that to Corrina, after an old Dylan song. Congrats on the opening ports, they look great. Why the new forward hatch ? The old wood one looks pretty sweet in the photo. BTW, how’s your interior? Any mods you want to share with your readers? I must tell you, I’m tempted to rip the whole liner out and start from scratch with a pile of cherry and butternut. Notice in this photo, the running lights are mounted on the cabin sides, like the Pearson Triton's lights. Andiamo has been repowered with a Yanmar 3GM30F.